The juice of aloe vera aids digestion and treats mouth ulcers while the fresh pulp or gel of aloe vera soothes dry, flaky skin, while providing optimal moisturisation to the oily skin too.. It treats and soothes sunburns and breakouts.. It even slows down the process of aging by reducing the appearance of wrinkles and fine lines.. DESCRIPTION: For natural beauty, safety and useful for removal of pigmented spots. Ayurvedic proprietary medicine. Permitted colour (brilliant blue, tartrazine yellow), Vitamin E, fragrance and preservatives q.s. METHOD OF USE: Rub on clean and dry skin and leave as such. USES: Useful in nourishing, beautifying, glorifying and rejuvenating skin, helps in retaining healthy skin. COST: INR 40 for 60ml and INR 80 for 150ml. 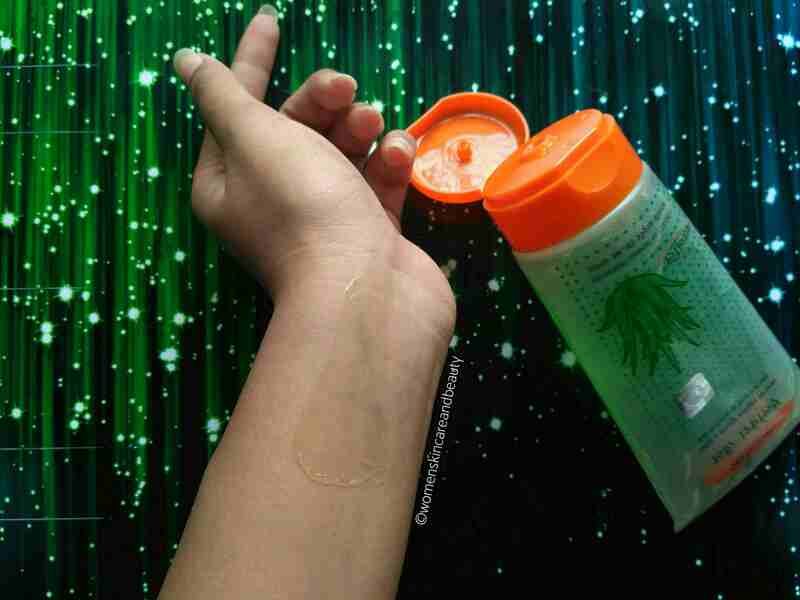 It doesn’t even impart any glow to the face on regular use, unlike the fresh aloe vera gel. 1. Easily available and travel friendly. Buy it from here! 2. Inexpensive compared to the aloe gels from the other brands. 3. Works decently in terms of Moisturisation. 4. Can be used to mix powdered face packs. 1. Not very effective on pimples and pigmentation. 2. Has added colours and fragrance. 3. Not mentioned which chemicals are present as base and preservatives. 4. No significant difference in skin even after prolonged use. 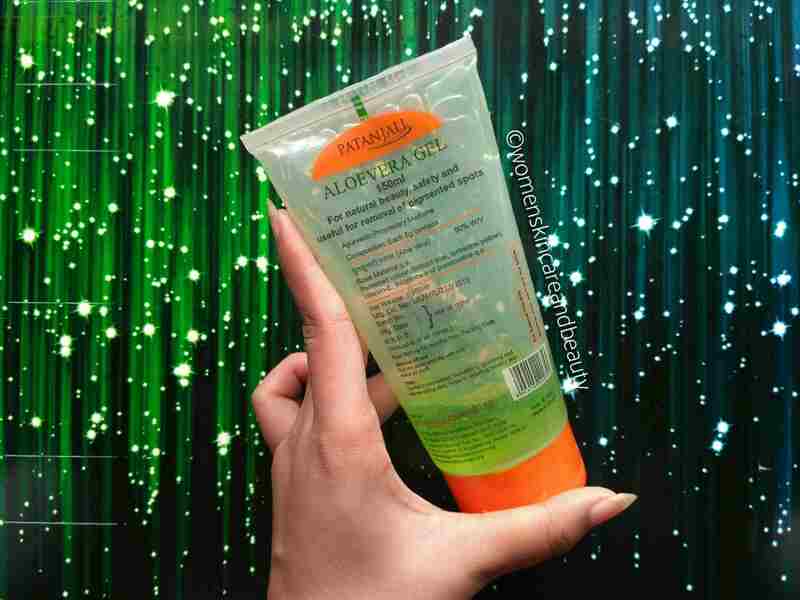 FINAL TAKE: Patanjali Aloe Vera Gel is a good option for those who want an inexpensive gel Moisturizer.. Thanks for the honest review. I too used it before and have the same opinion as you. Always wanted to try this gel, thanks for the product review. The product sounds like a must buy! I have used this and found it not bad at all. I like some of the Patanjali products definitely! That’s a very helpful review! Will keep that into consideration. Nice & detailed review , seems an Okay kind of product in affordable range . If it is not effective on acne and marks then i doubt if i would go for it or not. But it is an affordable option for those who want it. I quite like this aloe vera gel, but nowadays with so much in the news about Patanjali products, I do wonder how natural and safe these products are. 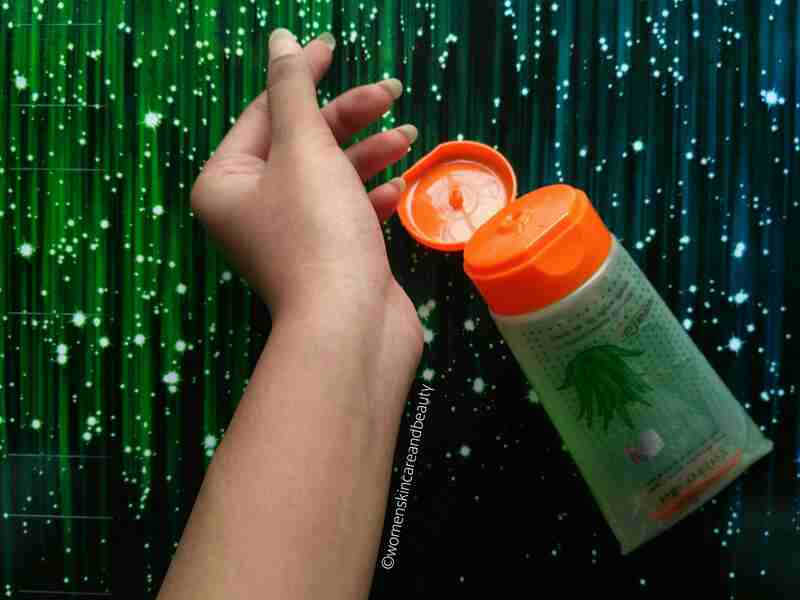 I have always liked the aloevera gel and it’s an essential part of my night time routine too. To be honest, I don’t like this product. yes it is super affordable but chemical laden too. I bough it long ago and it remains in my cupboard used. Thanks for sharing honest review. 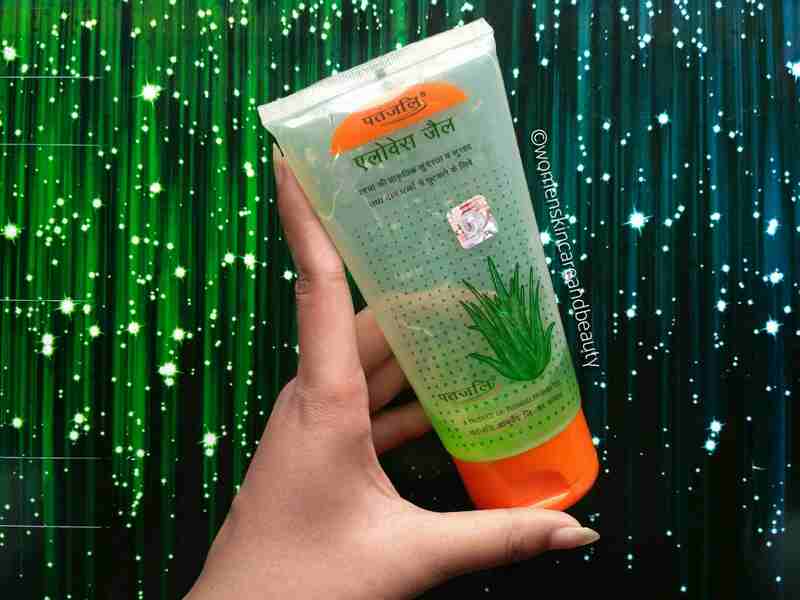 I do have patanjali Aloe gel and Its my favourite. Just one query I have can we use it in kids hair as well. Its an amazing gel really. I used it in many things like my face packs, serum, etc. It gives a nice result also. Its really very useful. I have always found it an average product. Dont know why people hype it so much. Appreciate the honest review. I have also used this aloe vera gel and my views on this product are ditto as your. It is a cheap option for an aloe vera gel and that’s it. Doesn’t do much more. It’s a very okay type product for me. I just use it with other ingredients.